Tanda and Sage MicroPay and Meridian is run through a flat-file integration and MicrOpay Web API through an online integration. This article will take you through any requirements for integration, including how to bulk import your staff the first time and then options for new staff going forward. It will also take you through exporting your Timesheets. 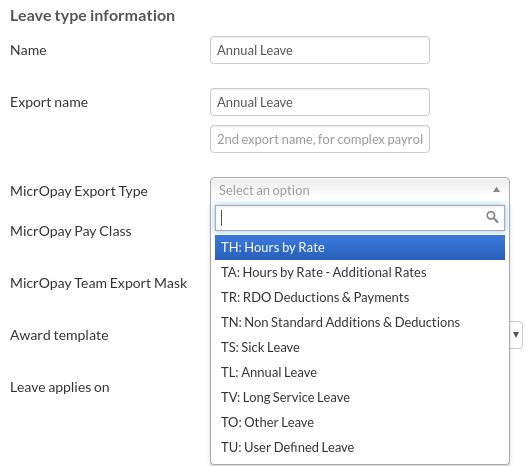 There isn't an automatic import or report that can be imported from MicrOpay to Tanda but there are a few ways you can add your staff to Tanda; by manually adding them, importing by Excel or you can ask your staff to fill in their details by sending them an invitation to Tanda's Employee Onboarding. Add Manually: just add in their information yourself. Employee Onboarding: click on this article for further information. Importing from Excel (CSV): download the Template and add your staff details and then import into Tanda. Click on this article for further information. When you're importing by Excel, add into the sheet in the Employee ID column, the Employee Code from MicrOpay. If you're adding manually or from Onboarding, you'll need to add this to each employee's profile in Tanda. This is how Tanda matches the employee to MicrOpay when you export your Timesheets later, so it's important to have it setup from the start. Create or match Award rules in Tanda by going to Payroll > Award Rules. If you need to create Award rules in Tanda, check out the article on creating Custom Award Rules. If you use Allowances, you can check out this article on how to build them. 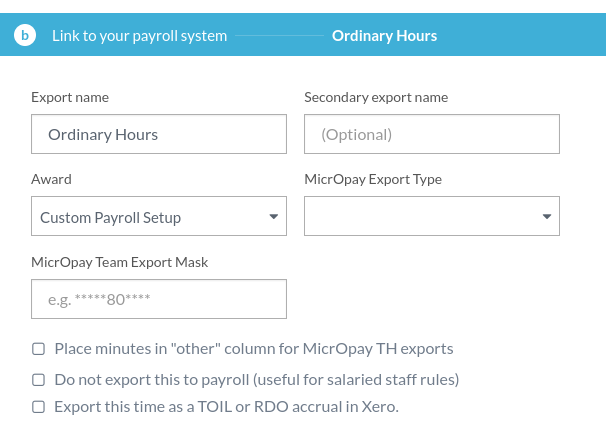 Tanda exports Payroll cost tracking per team, this is not a job code or a tracking code, rather it is the actual payroll account in MicrOpay. 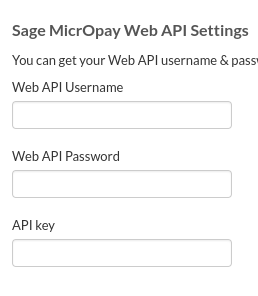 If you're using MicrOpay Web API, your Timesheets will automatically be sent when you click the Export button. If you're using MicrOpay flat file or Meridian, a file will be downloaded to your computer. Import the .mif file into MicrOpay through Transactions > Payroll > Import and Export > Transaction Import. Enter the employee you created in MicrOpay, select the file and run the import.